Nylon Frame Fixing Anchors. Nylon fixings, designed to fix wooden door and window frames to brick and block work. Through fixing eliminates the need for marking and re-positioning. We offer all types of Nylon Fasteners from standard items such as plastic bolts, screws, nuts, washers, spacers, threaded rod, plastic industrial balls to intricate parts per print. Threaded plastic rod is a specialty of E & T fasteners. High Quality Plastic Nylon Screw. Can be provided in any size. We Manufacture Customized Size of both sided Threaded Studds, machined out of high quality Nylon Fastners. 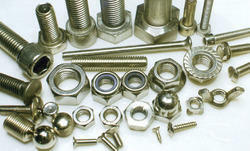 We are the manufacturer of Nylon Fastener. 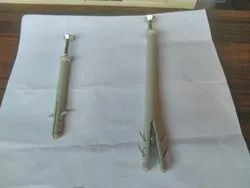 The main purpose of Nylon Sleeves are fixing block work, concrete and brickwork and also use in holding the screws firmly in their place. Catering to the requirements of our clients, we are involved in offering Nylon Frame Fixing Fastener.